I begin with the radiation leakage. Radiation leakage exerts a long term effect on the environment. It contaminates our food chain, the groundwater and the ocean. 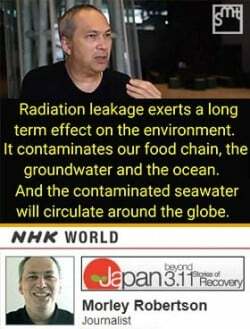 And the contaminated seawater will circulate around the globe. We never know how much this will impact on the environment… We’ll never able to study such issues with empirical certainty… [Due to nuclear testing] we have already accumulated “hidden losses” of radiation damage… how much is the [Fukushima] cesium in relation to that?… I believe we should enjoy delicious food rather than worrying about the food. I enjoyed the town’s delicacy… I didn’t mind about how the beef was produced or where it came from. As long as it is tasty, it is no problem for me. With regard to radiation, I have become more optimistic. My hypothesis is that it’s no use worrying about radiation. For people in Fukushima, they have a lot to worry about their future, like damaged reputation… One reason why we have relied on nuclear plants is because we didn’t know about the facts… We need to face the facts… Rad-waste from the nuclear cycle is said to be unsolvable even after 2.5 million years. In 1974, then PM Tanaka declared, “Let ‘s go nuclear!”… we were issued credit cards to buy electric goods to consume the extra electricity… It is OK to say that everything was just a lie… and 3/11 happened. So we must study everything. 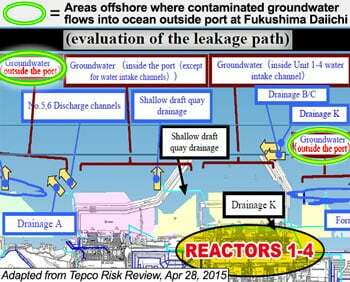 It is no longer about what to do with Onagawa nuclear power plant, Miyagi or Tohoku. This is about what to do with Japan. This has been revealed by our vulnerability to the accident… So when we talk about “disaster“, it’s like a huge wrapping cloth expanding everyday. NHK: Morley is a journalist… working in the fields of television, radio, and lecture meetings… he studied at the University of Tokyo and Harvard University. Robertson’s Wikipedia entry (translated from Japanese by Microsoft): In 1968, because of father’s job moved to… Hiroshima [to work] on Atomic Bomb Casualty Commission [and] undertook study of atomic bomb patients.